The Short Version: Tucked between Mount Rushmore and the Rocky Mountain National Park, Cheyenne, Wyoming, is a serene paradise with a historic background. 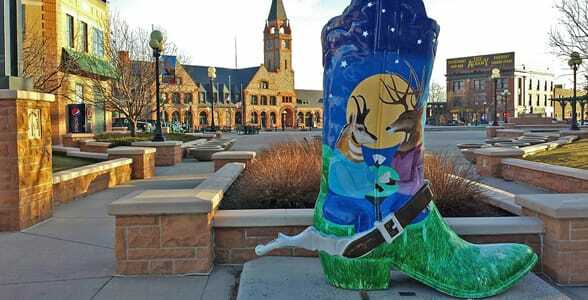 Couples looking for culture, relaxation, adventure, and recreation will be pleasantly surprised by all there is to do in Cheyenne. You can go hiking, biking, or climbing at Pole Mountain and Curt Gowdy State Park. Then head to one of the many restaurants and eateries for a drink or a bite to eat. You could also hand-feed the bison at Terry Bison Ranch, and then end your night at one of the many live shows and events held in the town. Once you’ve experienced the community’s Rocky Mountain hospitality, you’ll want to stop by Cheyenne every time you’re out West. Cheyenne, Wyoming, is a hallmark of the Old West experience. When you hear the name Cheyenne, it immediately conjures images of cowboys, steam trains, and saloons. However, today’s Cheyenne is much more than a dusty ghost town. It’s alive with action, entertainment, and romance. Cheyenne wows visitors with its rich cultural heritage and artifacts from yesteryear. The capital city boasts several historic landmarks, museums, and interactive experiences such as the Cheyenne Street Trolley. Cheyenne, Wyoming, is widely considered the rodeo capital of the US. A friendly and welcoming city, Cheyenne features excellent dining options, hosts popular festivals and events, and nurtures an active art and music scene. It’s also home to gorgeous natural landscapes where couples can partake in outdoor activities such as hiking, biking, and cross-country skiing. There’s so much to do in Cheyenne — it’s hard to know where to begin. 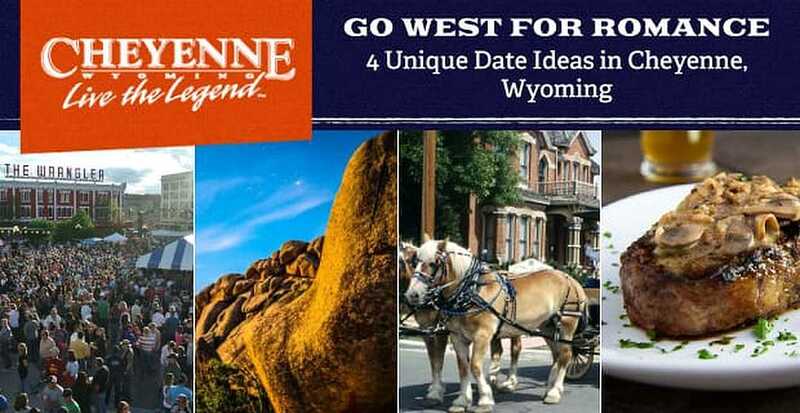 Here are our four recommendations for one-of-a-kind dates in Cheyenne, Wyoming. The couple that plays together stays together, and the Cheyenne area is home to gorgeous natural landscapes and parks, including Pole Mountain and Curt Gowdy State Park, that offer fun opportunities for outdoor activities and adventure. The park features more than 35 miles of scenic trails for hikers and mountain bikers. Curt Gowdy Park also has three reservoirs for fishing and 12 campgrounds for camping. Couples can snuggle under the stars as they appreciate all nature has to offer. Adventure seekers can head to Pole Mountain in warm months to take their relationship to new heights. You can expect to see some beaver ponds up close and personal while you’re there. In winter, the area is perfect for snowshoeing, cross-country skiing, and sledding. This area has more than 10 miles of groomed skating and classic ski tracks for couples looking to enjoy a wintry day. Cheyenne offers a little bit of everything, and its diverse culinary spread can court your taste buds as well. Over 100 different eateries, breweries, and cafes offer tasty dishes to satisfy your craving. 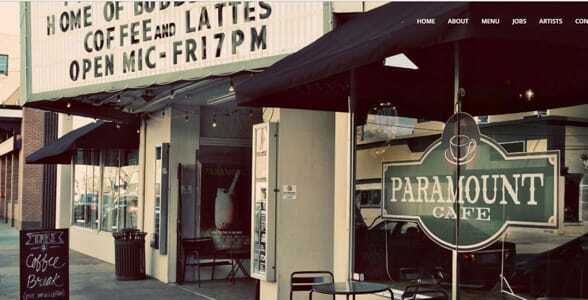 Paramount is a specialty coffee chop in the heart of the downtown area. Couples looking for an upscale dinner can enjoy a juicy steak or fresh salmon on a cedar plank seat at Wyoming’s Rib & Chop House, which was voted one of the 50 Best Restaurants in America by MSN lifestyle. Cheyenne’s annual Restaurant Week is a fun event for foodies in April. For seven days, Cheyenne’s most popular restaurants offer discounted pricing on select menu items. This is a great opportunity for you and a date to sample the signature dishes of some of Cheyenne’s top eateries. Cheyenne also has five breweries and distilleries that craft inventive beverages for thirsty patrons. Among them are Freedom’s Edge Brewing Co., Cheyenne’s oldest craft brewery, and Accomplice Beer Company. A small batch microbrewery, Freedom’s Edge Brewing Co. has a signature brew called the 1890 IPA. Accomplice Beer Company is ideal for a DIY couple. This establishment features self-pour taps and an expanded food menu for you to enjoy. Music enthusiasts will love Cheyenne. You can find live music at bars and restaurants in the downtown area. Plus the city plays hosts to dozens of music festivals throughout the year. From the Celtic festival to Zombie Festival, Cheyenne has a little something for everyone. You can savor craft brews at Brew Fest or watch a rodeo during the city’s Frontier days. Fridays in the Asher is Cheyenne’s premier independent music and art series. Each Friday, a new band plays for the community. Fridays in the Asher, a nonprofit event organized by volunteers, offers a great way to get involved and support local music. It’d be silly to come to the Old West and not enjoy a traditional Western experience. In Cheyenne, your inner cowpoke or gunslinger can enjoy many fun, Western-themed activities. You can start by boarding the Cheyenne Street Trolley. The driver will take you on a historical tour of the city and point out places where history was made. The trolley also offers ghost tours in October that spook visitors with the legends of visits from beyond the grave. The eye-catching Ames Monument is a popular tourist attraction in Wyoming. Bet you didn’t know the Old West had pyramids. 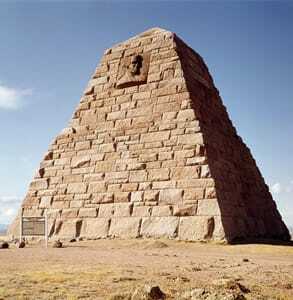 The Ames Monument and Sherman Hill are a must-see when you visit the Cheyenne area. The 60-foot pyramid, located on the highest point of the Transcontinental Railroad, is a monument to two Massachusetts brothers who were instrumental in the construction of the Transcontinental Railroad. The Terry Bison Ranch is another family-friendly tourist attraction in Cheyenne. “It is a working ranch, but they also have a campground and a little carnival,” Laura said. “The star of the show is the herd of bison out there. You get on their homemade train and go out to the bison,and then you can feed them by hand. It’s really spectacular.” They also have ostriches and camels. Cheyenne transports visitors to another time. A time of cowboys and pioneers. A time of straight shooters and simple living. Many Americans romanticize the Old West, so taking a trip to this natural and secluded area can be a fantastic way for you and your loved one to get away from it all. Whether you are listening to live music, savoring a tasty bison burger, or enjoying a morning climb, Cheyenne is a natural stress reliever that helps you reconnect with yourself, your significant other, and history.